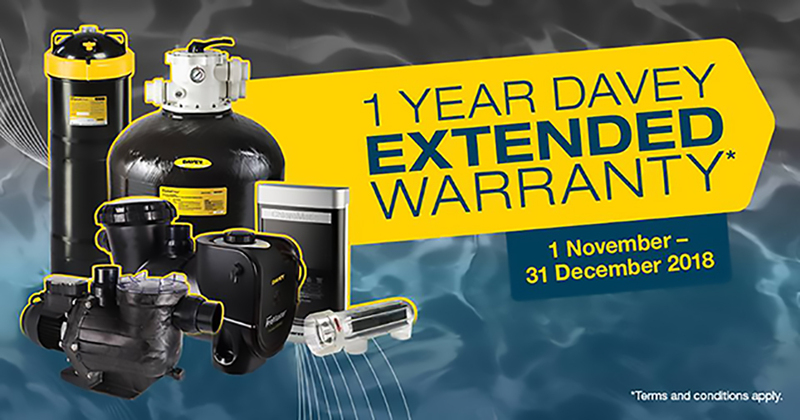 Claiming your extended warranty is easy! Simply click on the link below to register your purchase, and upload a copy of the receipt as proof of purchase. Be sure to tick the "I am not a robot" box and submit just once for each receipt you have. Duplicate claims will be reviewed and only a single claim will be considered for each receipt / product. Please fill in your details accurately - terms, conditions and exclusions apply. With any enquiries, please email promotions@davey.com.au.